The division of allergy treatment and diagnosis is conducted a variety of allergic and asthmatic diseases, diseases of the respiratory and digestive tracts. Is performed examination of patients with a variety of allergic skin problems, problems and nasal sinus, asthma and chronic cough, and patients with suspected food allergy or occupational allergy. 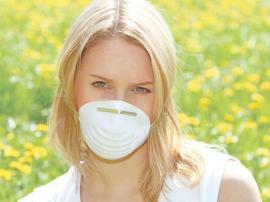 Specialists conducts various surveys including the samples for potential pathogens - allergens. The subdivision of Clinical Immunology, provides treatment of a wide range of diseases associated with disorders of the immune system, starting with the lack of immunity, which is expressed in the tendency to reinfection, and severe autoimmune disorders (a condition in which the immune system acts against the organs of the body). 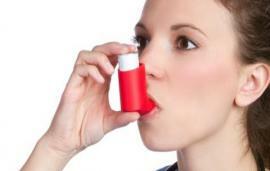 In The subdivision is the treatment of various allergic diseases and asthma. In recent years dramatically increased the number of allergic reactions developing in different conditions and under the influence of various factors. The division selects the allergy diagnoses and treatment of various allergic diseases, asthma, pathologies of the respiratory and digestive tracts. Here undergo examination the patients with various allergic skin problems, problems of the nose and sinus, asthma, chronic cough, as well as patients with suspected food allergy. The division includes the clinic, day hospital and laboratory. In The subdivision can receive counseling and clinical laboratory services for various departments of the hospital. - In a child, besides, reduced ability to learn and significantly disrupted the formation of the body that later appears as the delayed impact. - Immunodeficiency (Frequent SARS, chronic rhinitis, bronchitis, laryngitis, pharyngitis, tonsillitis, adenoids, chronic pneumonia, chronic fatigue, streptoderma / streptoderma, mycosis, candidiasis, thrush, etc.). Very rough shape immunopathology manifested as oncological conditions (cancer, cancer), and, frequently, and AIDS / AIDS, in which because of an extremely rough immunodeficiency is able to operate on a man, even HIV, in the vast majority of condition man is general uncharacteristic, that in the absence of adequate immunological treatment is almost always (if the patient does not have time to die before other opportunistic infections) and lead to cancer deaths. Even a very rough immunopathology in most cases are treatable by methods of modern immunology, but successful treatment of the patient - it is each time due to the peculiarities of disturbances in the organism patient's, individual complex task, requiring the doctors not only of the highest professionalism, but also the availability to them of a very wide modern diagnostic base as clinical laboratory, as well as hardware, and, on the express condition of absolute reliability of the results of objective research. Ways to boost immunity. Fighting viruses.